This prestigious event requires everything from man and machine. The man who rose to the challenge 2 years ago, will again gather all his skill and knowledge of the mountain course to ride our MMX500 V4 2-Stroke in both the Superbike and the Senior TT race. Ian has an unquestionable pedigree at this circuit. The idea to race here is simple: Show how much the MMX500 has matured, in both reliability and efficiency. 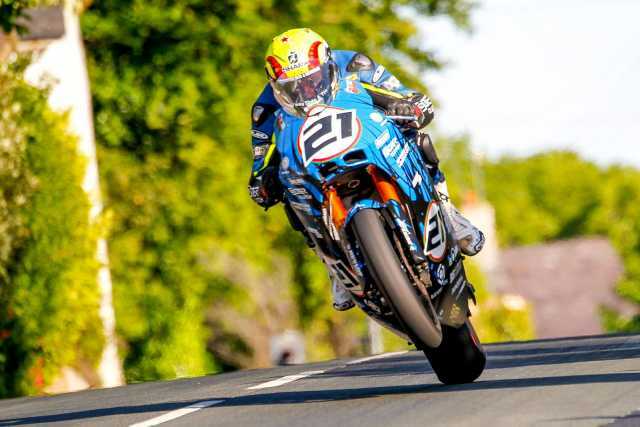 1) The MMX500 Ian Lougher raced at the IoM TT 2018 (Including all road rash and bugs). 2) Handed over in person by the team and rider on sight (perhaps even in Pit lane). 3) A complete set of Suter 2018 TT Team Wear. 4) VIP access to all the team and rider paddock, as well as all activities the team is part of. 5) An allocated spot to one of our very own Suter Race Days, with Eskil leading the way as your personal coach himself! To witness first-hand the thrill of the IoM and be an integral part of the story in 2018 ! Unless you take part yourself !